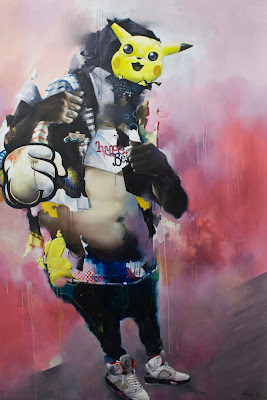 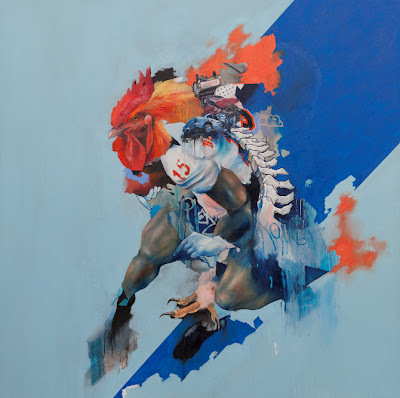 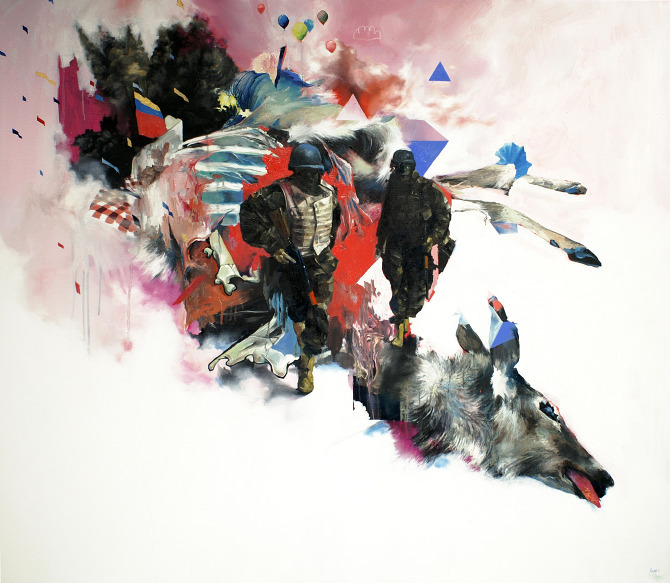 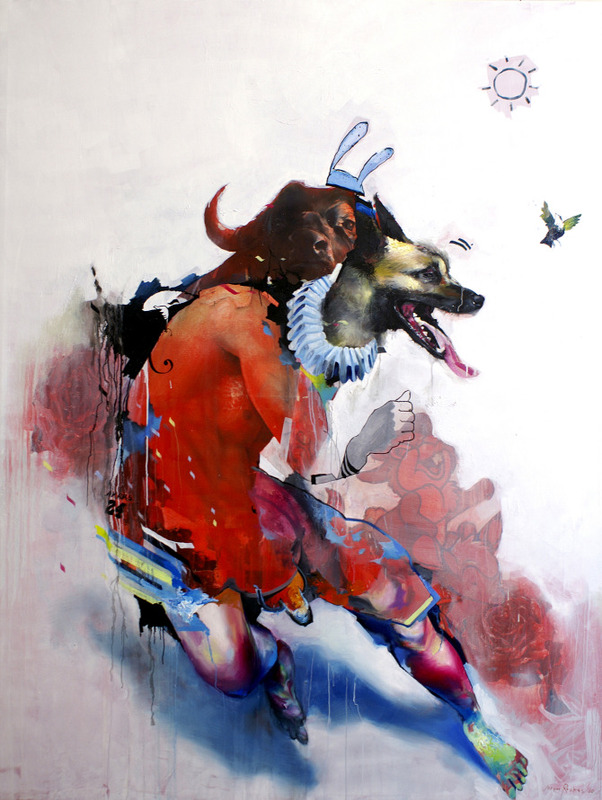 The corporatization of violent sports in American culture, the packaging of an unknowingly self-sabotaging hyper-masculine culture, the expression of aimless aggression and violence, and the societal carnage that comes from the worship of these things: this is the stuff of the highly charged artwork of Dutch artist Joram Roukes. 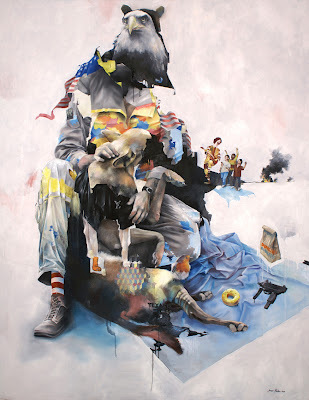 His images consist of disturbing hybrid mash-ups of all the previously mentioned elements. 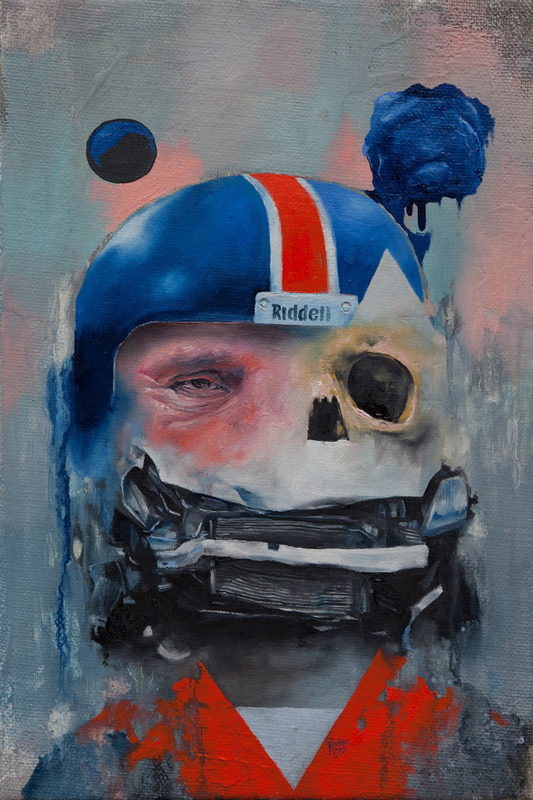 Humans have animal heads and corporate logos and characters (look at the details in Salvation Road, the third painting down) get patched onto car accidents, cartoon characters, football players with massive brain trauma, paunchy wanna-be video game enthusiasts, and soldiers. The artist modestly describes his own work: "My oil paintings are reflections on daily life situations in western society, filtered and reassembled in a collage-like manner."